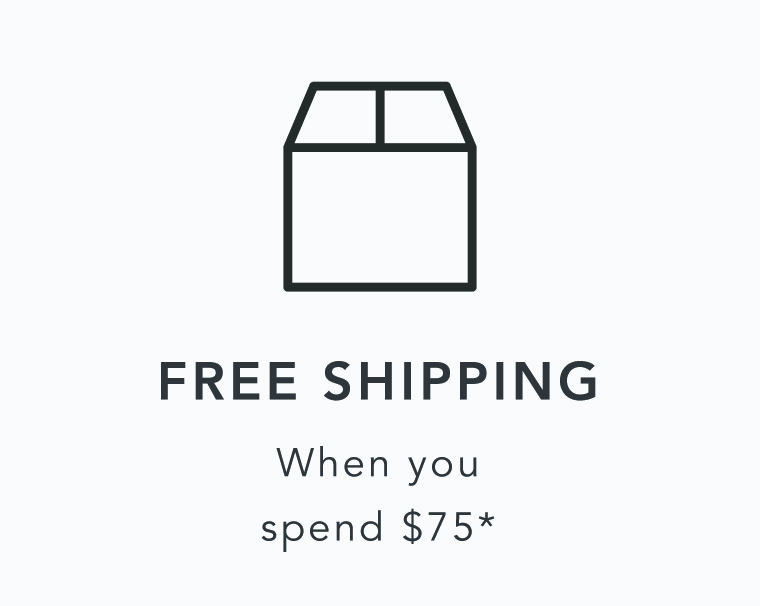 *Enjoy free standard shipping when you spend $75 or more in one transaction (excludes wall art and other bulky items). **Standard Shipping for $10.00 AUD. Whilst most standard deliveries are received within 3-5 days, please allow up to 7 business days, depending upon the time of purchase and your delivery address. ***Express Shipping for $20.00AUD. Whilst most express deliveries are received within 1-2 days, please allow up to 4 business days, depending upon the time of purchase and your delivery address. Please note: All orders are dispatched from Brisbane, Australia. During sale and holiday periods, delivery may take longer than the estimated timeframes above. If you live in WA, NT, certain areas of QLD or remote rural areas, you may need to allow a few extra days for postage. To find out more about postage to your state, click here. If you have any questions about delivery, take a look at our FAQs below or contact us. We want you to get your new goodies as soon as possible! For deliveries within Australia, our preferred delivery method is Australia Post’s parcel post service which will generally arrive in 3-5 business days for standard shipping or 1-2 business days for express shipping. Note: The information provided is based on the general delivery terms of Australia Post and is subject to change. We are not liable for any loss, damage, cost, expense or injury you or any third party may endure as a result of a delay in delivery. We’re all about that international love however we currently only deliver to Australia and New Zealand. If you have a special requirement please contact us so we can do what we can to help you. For postage to New Zealand, enjoy free standard shipping when you spend NZ$150 or more in one transaction. Haven’t spent over NZ$150? No problem! 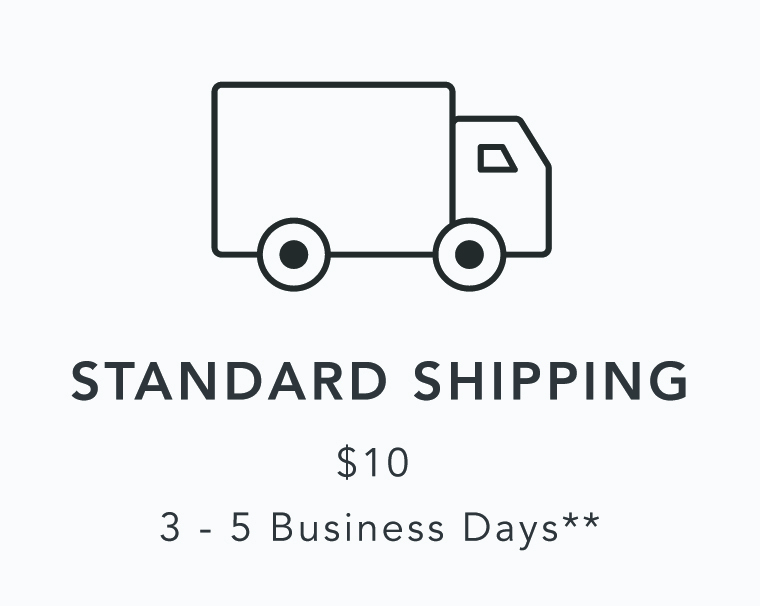 Standard Shipping is NZ$15.00. Whilst most standard deliveries are received within 3-5 days, please allow up to 7 business days, depending upon the time of purchase and your delivery address. When your order is sent, we’ll send you an email with a link to your tracking information so you can follow your parcel’s journey via Australia Post. If there seems to be a delay or no updates, you can contact Australia Post and quote your tracking number to investigate it further. Still haven’t received your goodies and having problems tracking it? Don’t worry, help is on its way! Contact us with your order and tracking numbers and we’ll get to the bottom of it for you. Unfortunately, at this time we cannot deliver to certain regional locations in Australia. If that’s you, we’re sorry! We will make it to you one day however for now we will contact you on the email you provided and arrange cancellation or delivery to an alternative address. If you're not home and Australia Post determine there is a safe place for the parcel to be left on the premises, they’ll leave it there and take a photo of the parcel as proof that it was delivered safely. If there’s no safe place, a card will be left as normal and the parcel will be awaiting collection at a nearby Australia Post Office to sign for. Unfortunately we cannot be held responsible for any lost or stolen parcels. It’s sad, but it happens! In the unfortunate event that your parcel is returned to us as a “non-deliverable” or “not-collected” within Australia Post’s specific timeframe, we’ll let you know immediately. If this happens and you decide you’d like to cancel your order instead of getting it resent to you, that’s fine provided the cost of the parcel return and the original cost of shipping is deducted from your refund. Don’t you worry! We’ll send you an order confirmation email after your order has been placed. Always keep an eye on your junk mail in case the email has landed in there. Change of mind? Not a problem! If you decide you want to make changes or cancel your order please contact us HERE within 1 hour of placing it. If you decide to change or cancel your order after 1 hour of placing it, we cannot guarantee that it hasn’t already been processed. What can we say, we’re super speedy! Never fear though, contact us ASAP and we will do our best to modify the order for you. You must pay a fee for the delivery of goods (“delivery fee”). We charge a standard delivery fee for delivery within Australia at a flat rate of $10.00 for orders with a total purchase price under $75.00. Delivery within Australia for orders with a total purchase price over $75.00 is free of charge. A special delivery fee may apply for certain goods. We will notify you of any change to the delivery fee for your order and if you do not wish to continue with your order, you may cancel your order, and we will refund any payment made by you. We may in our absolute discretion determine how goods are delivered to you. For deliveries within Australia, our preferred delivery method is Australia Post’s Parcel Post service. Your parcel should reach you within 3-7 business days. Deliveries to regional areas may take longer. If you have not received your parcel within 5 business days of dispatch, please contact us. 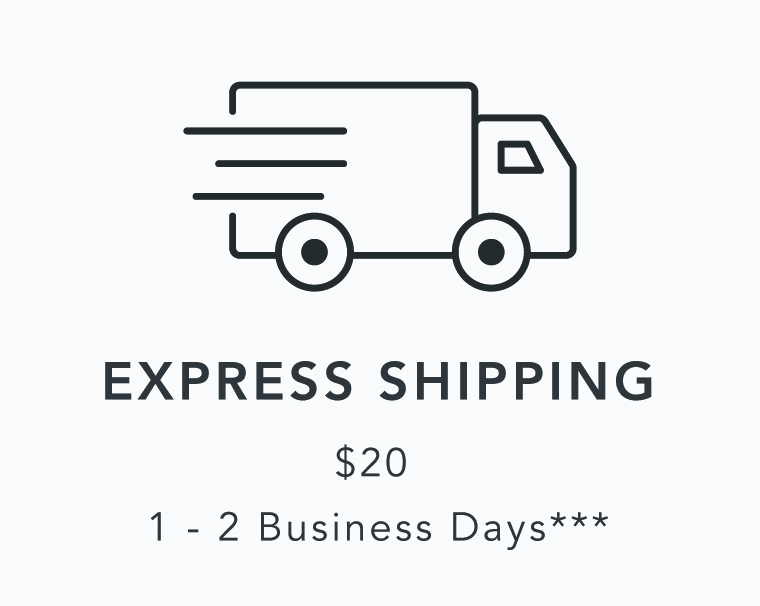 We cannot guarantee that delivery will occur in the delivery time frame contained in these terms. We are not liable for any loss, damage, cost, expense or injury you or any third party suffers as a result of a delay in delivery. Delivery of goods will take place at the delivery address specified by you in the order. You may be required to sign for delivery. If there is no one available at the delivery address to accept delivery, or there is limited access to the delivery address or it is unsafe or impractical to make delivery or for any other reason delivery cannot take place, a calling card may be left for you to collect the goods from a local Australia Post office or our selected couriers depot. It is your responsibility to follow the instructions stated on the calling card. If you refuse to sign the delivery document, this will be taken as a refusal to accept the delivery. Where redelivery is required because of refusal to accept delivery, you may be required to pay an additional delivery fee. In the event that we have posted your item to the delivery address specified by you in the order and the item is returned as non -deliverable or not collected within Australia Post's specified timeframe, we will contact you to advise that your order has been returned to sender. We reserve the right to pass the additional cost for the parcel return, plus the cost of reshipping to you. If you decide to cancel your order, the costs of the parcel return plus the original cost of shipping will be deducted from any applicable refund. Once delivered, you must inspect and test the goods and ensure the goods delivered match your order. You must let us know about any damaged, missing and incorrect goods as soon as possible by contacting us via our contact us page. You must take care when handling and opening the order so as not to damage it, particularly when using any sharp instruments.